Hello. I am hoping to get the keys to a house I have bought soon. 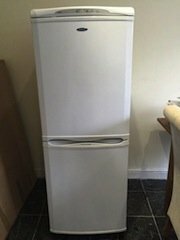 It’s a 2 bed house with some furniture in it that I would like removed. 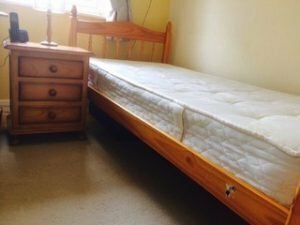 One double bed and a 3 piece suite as far as I can recall as well as all kitchen white goods and other chairs and furniture etc all in great condition. Possibly one or two small cupboards and a few things up in the loft. I also need carpets taking up as they are not in good condition. 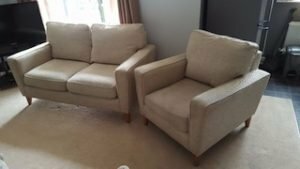 A two seater high back sofa and matching armchair, upholstered in cream canvas fabric, on solid pine legs. 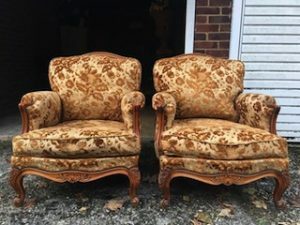 A pair of heavily carved solid oak armchairs, upholstered in gold and champagne floral patterned velour. A heavily carved Victorian rosewood hall chair, upholstered to the seat in blue patterned oriental fabric. A solid oak rectangular dining table, together with six matching high back dining chairs, upholstered in tan authentic leather. 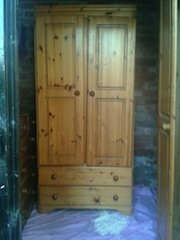 A tall standing solid pine double wardrobe, having two large drawers to the bottom. 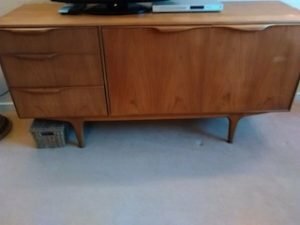 A 1970’s vintage teak wood retro sideboard, having three drawers aside a double cupboard. 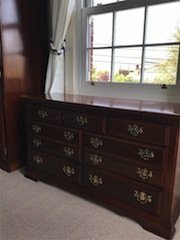 An antique solid mahogany large chest of drawers, having three small drawers over six long drawers, with ornate brass handles. 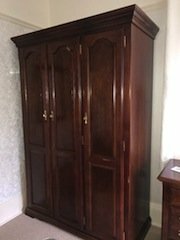 An antique tall standing mahogany triple wardrobe, having a double wardrobe aside a single, with brass fittings. 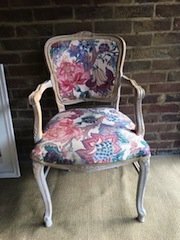 A hand painted white heavily carved hall chair, upholstered to the seat and backrest in floral patterned oriental fabric. A vintage solid pine vanity dresser and detachable swing mirror, having two small drawers above three long drawers, on ball feet. 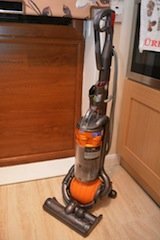 A mustard yellow and grey, Dyson DC25 All Floors ball vacuum cleaner. 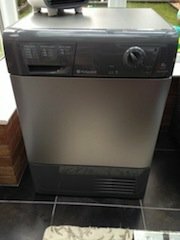 A space grey and silver Hotpoint 8KG condenser dryer. A solid pine single bed frame and matching chest of three drawers, together with a single buttoned mattress. 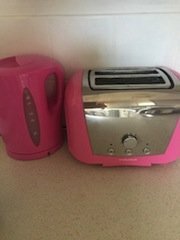 A Morphy Richards hot pink and stainless steel two slice toaster, together with a matching kettle. 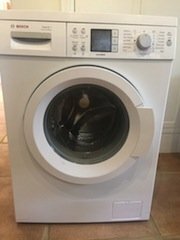 A white Bosch Excel 7 Vario 1200 spin washing machine.